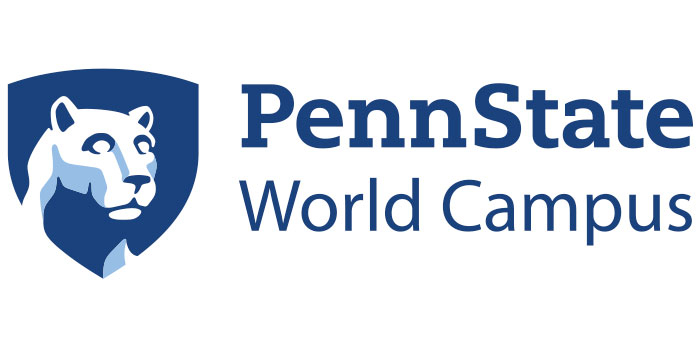 Penn State World Campus is highly ranked on Online MBA Report.com (#7 public school, #8 nationally and #2 in the east). Congratulations! What is Penn State World’s secret to consistent excellence? Our secret to continued excellence isn’t really a secret. It is an ongoing commitment to the quality of our program and the quality of the student experience. The program has been recently redesigned to better meet student needs in terms of customization and flexibility. Keeping a continual eye on the market and the changing face of business allows us to provide an excellent educational experience that will be applicable to today’s online learners. The beauty of online learning is that what the student learns in class today can be applied tomorrow on the job. Not all students need the same thing, and our program is designed to accommodate this. The Penn State online MBA is led by the Smeal College of Business and is AACSB-accredited. To enhance our course offerings, and to provide expertise in various areas of business specialization, world-renowned faculty from the Black School of Business, Penn State Behrend; The School of Graduate Professional Studies, Great Valley; and Penn State Harrisburg School of Business Administration will also be teaching various courses within this program. Our program caters to a diverse mix of students from different functions, industries and geographies and to those at different points in the arc of their career. Our students are high achieving, motivated and ambitious working professionals who are looking to enhance their business acumen and progress in their careers while continuing to work. Many are raising families, actively involved in their communities, and continually seeking to improve themselves. Our students’ accomplishments and their drive to succeed continue to impress me. What are the most popular MBA concentrations and why? Currently, our top concentrations are Corporate Innovation and Entrepreneurship, Project Management, Finance, Business Analytics and General Management. To be successful in a fast-paced business environment, innovation, the ability to use analytics, and the skills to manage projects effectively and on budget, are all key requirements for today’s business professionals. In addition, our General Management track allows students to customize their concentration, pulling courses from multiple functional areas to make sure they walk away with the specific skill set they need to progress on their chosen path. Students all begin the program with a 1-week residency experience at the University Park campus. A large focus of that week is the Team Performance course which gives students tools to effectively work in teams, and specifically how to manage teams in a virtual environment. While some students will progress through the program on similar tracks depending on pacing and concentration choice, the program is not cohort-based. Students can choose how many classes they take per semester based on their availability, they can choose what courses might work best together in a given semester based on their strengths and challenges, and they can take a semester (or more) off should life require flexibility. By giving all students the same foundational experience at residency, students are set up for success no matter who their colleagues are in any given class during the program. In addition to meeting several faculty members at residency, students will engage with the faculty throughout the course of the programs via multiple platforms. Beyond the asynchronous course material, faculty will also host synchronous sessions on a regular basis so students can have real time connections and interactions with both faculty and fellow students. Synchronous sessions are recorded, so if a student has a conflict they can watch later and are not penalized in any way for missing a session. Faculty also connect and interact with students via discussion boards. Virtual office hours are held so faculty can be accessible to students via Zoom and/or phone outside of scheduled sessions. The Online MBA program utilizes multiple career resources from across the university, including assistance from Penn State World Campus, Smeal College of Business, and the Penn State Alumni Association. All of our career resources have been carefully tailored to meet the diverse needs of our online students. Upon graduation, Penn State Alumni Career Services will allow you continued access to many of the resources you had as an OMBA student, which you can utilize as needed throughout your career. One of our highlights from a faculty perspective is a deep appreciation for a deliberate strategy of design/delivery of online courses. Along with high regard for the expertise that the instructional design teams brings to this essential process, the team of faculty as subject matter expert and learning designer as delivery method expert allow our courses to be delivered smoothly in an online environment. The majority of our students are currently working full-time, and many intend to progress with the organization for which they currently work. However, for those looking for new opportunities, both Penn State and the Smeal College of Business have extensive partnerships with companies across the US and abroad. Some of the Smeal College of Business Corporate Partners can be found here:https://www.smeal.psu.edu/corp/corporate-partnership-opportunities/corporate-partner-companies. More information on Penn State Career Services can be found here: https://studentaffairs.psu.edu/career. Additionally, the World Campus also has many B2B partnerships which extend tuition discounts to employees of those partner companies. What advice would you give a prospective candidate for Penn State’s online MBA program? In the admissions process, show us who you are! While we want to see that you can be academically and successfully professional, we also want to get to know you. Use your essays to give your candidacy color and demonstrate more than what is already on your transcripts and resume. Ask questions during the process, attend webinars, talk to our staff and current students. Our student ambassadors are always standing by to answer questions about the student experience for prospective students and applicants. Program fit is so important and making connections can really help you ascertain if this is the right program for you. Approaching the admissions process from a perspective of engagement sets the stage if you are admitted and attend. As one of our Pillars of Learning, Engagement at all stages of the experience is crucial for students to reap the full rewards and benefits of a Penn State education. Why should a prospective MBA candidate choose the Penn State Online MBA? We can offer a lifelong network that is unmatched. Your investment in a MBA program isn’t just a 2-3 year commitment, it’s a brand you will carry with you for life. The culture, roll up your sleeves work ethic, and sense of community are unparalleled. When we say “WE ARE…Penn State”, it means so much more than just a diploma. Thanks to Stacey Dorang Peeler for participating. For more interviews, check out our Online MBA Report Interview Series.